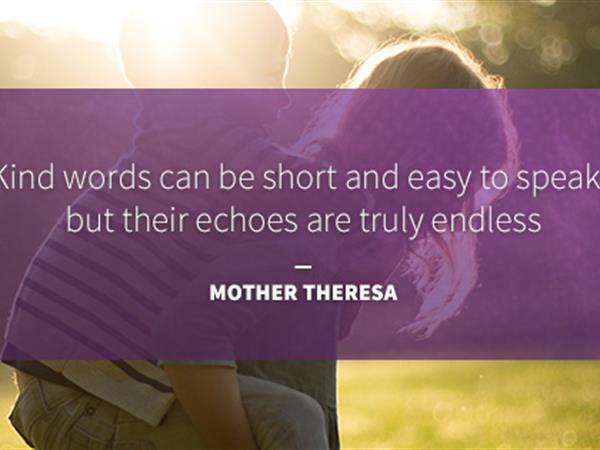 This month we celebrate the 19th World Kindness Day. Although we hardly need an excuse to be kind and do good deeds, it is nice to have one day a year we can collectively get together to make the world a brighter place. You might be a bit stuck for kind deeds this year. Don’t wait for the right opportunity to present itself – these proactive ideas can be done by anyone, any time. This kind deed transforms your trash into another man’s treasure and allows you to do a little spring cleaning. Celebrate family in whatever form – whether this is your brother you haven’t seen in too long or your friends if your family lives far away. Organise a meal together and enjoy each other’s company. Your family may need this time together more than ever. Throughout the day you notice nice things about those around you or their work. Next time you notice something, don’t keep it to yourself. This small compliment could make someone’s day. Nurses deserve more appreciation. If you’re a nurse or doctor reading this now, I commend you! A bunch of flowers from a stranger is sure to brighten the room. Why do we restrict gift giving to special occasions? Gifts make us feel incredibly treasured and loved – especially when the gift has personal meaning. It doesn’t need to be expensive, just thoughtful. Nothing like a bit of home-baking to break the bagged chips or bakery sandwiches many of us resort to. Not currently working? I’m sure your partner, friend or family’s company would appreciate the baking too! Awkwardly trying to go in the door at the same time as someone else? See someone in the car next to you trying to merge into your line? Say “you first” and let a stranger go before you. You might be surprised at how much reviews can affect a business. I know here at Keswick Christian Camp a kind review can make everyone’s day. Most people only write reviews when they had a bad experience. Take the time today to thank a company you had a positive experience at. When doing your supermarket shop, buy some nice groceries – treats, hot chocolate, decadent coffee – then donate it. Charities love all donations, however it’s not often they get something that isn’t budget branded. Special needs schools can be run off their feet – it is a demanding job. Offer your time as a play therapist during lunch time break. No one likes returning to their car after a fun day out only to find a parking ticket under their windshield. For a spare coin, you could save a stranger over $100. If you see any red parking meters or any parking meters with mere minutes remaining, donate a coin. Asking for forgiveness is an act of kindness we can choose to do any day yet rarely do. Those little words can completely change someone’s perspective of you or make their day.